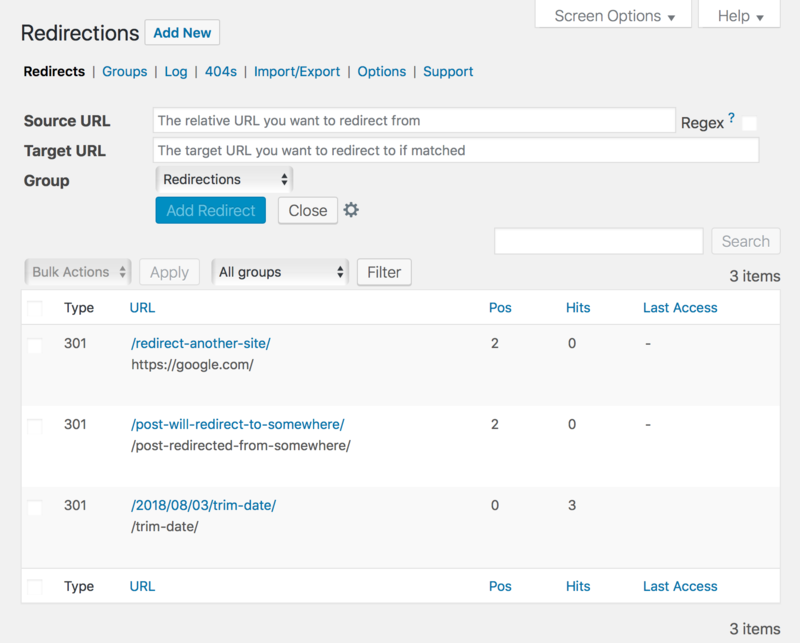 Shifter supports redirect with Redirection plugin. Shifter can supports simple one by one redirect. Redirect different post or page: redirect from https://www.example.com/abc/ to https://www.example.com/def/. Stripping date: redirect from https://www.example.com/2018/01/01/abc/ to https://www.example.com/abc/ . It may require changing permalink structure to "Post name"
Redirect from /ab. ?/ directory to /def/ directory. If the User Angent is Safari, redirect it from http://www.example.com/foo/ to http://www.example.com/bar/ .